Tracklist Revealed For Casey Veggies' "Life Changes"
Home>News> Tracklist Revealed For Casey Veggies' "Life Changes"
Check out the official tracklist to Casey Veggies' upcoming project "Life Changes", which drops tomorrow (Jan. 22nd). Casey Veggies is looking for that break through year in 2013 and he will start by releasing his "Life Changes" mixtape tomorrow (Jan. 22). With that being said, Casey took to his Tumblr page this evening and gave us the official tracklist for the project. The project will host 13 tracks and will have features from Dom Kennedy and BJ The Chicago Kid alongside production from Cardiak, Harry Fraud, 1500 Or Nothin, The Futuristiks, and more. Check out the back cover art below and make sure to cop the mixtape tomorrow, January 22nd. 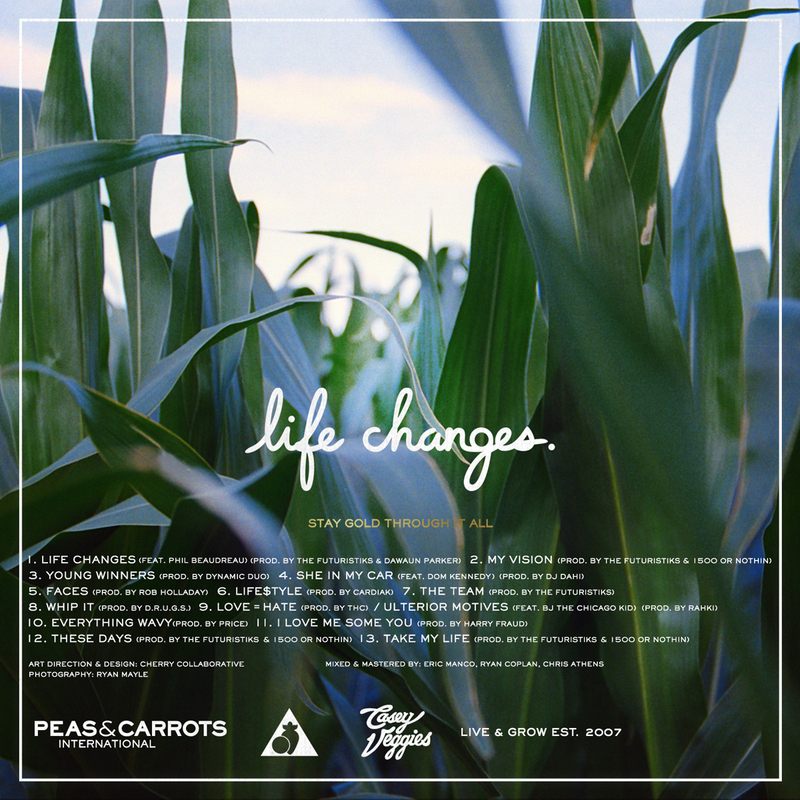 NEWS Tracklist Revealed For Casey Veggies' "Life Changes"